Nature has many predefined fundamentals or formulas, which are merely unchangeable but we need to have an eye to recognize such formulas. Natural disasters are provoked by astrological patterns, specifically when malefic planets are involved in such planetary patterns. Ganesha would like to explain astrological relevance between Bangladesh's National Horoscope with recent mishap of Cyclone, using basic calculations as per Vedic astrology along with Progressed chart fundamentals of Western Astrology. On 15th November 2007, winds of change hit Bangladesh in the name of `Cyclone' and entire country is shaken up. World is highly concerned about this and focussing on providing aid in best possible manner. Such disasters happen only during highly adverse planetary transits to the Nation's horoscope. Ganesha presents a study based on the same. Bangladesh's Country chart has Aquarius Rising (Aquarius Ascendant) with retrograde Saturn in Taurus in the 4th house. Transiting Saturn was at Leo 13 degree on the day cyclone hit the country and 4th house Cusp is at 17 degree of Taurus. The 4th house indicates heart of the nation. Angles i.e. 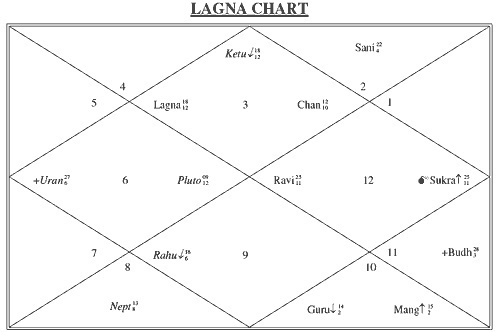 1st house, 4th house, 7th house and 10th house are most active parts of the horoscope. Ganesha observes that 4th house Lord Venus was debilitated thus weak in Earth Sign Virgo at 12 degree on the day of event so it was separating Semi-Sextile aspect to the 4th house Cusp. Studying Air Sign Triplicity (planets in three Air Signs Gemini, Libra and Aquarius), Ganesha notes that Mars went retrograde in Gemini (an Air sign) on 15th November 2007 and this is when the event happened! Mars indicates energy and vigour and it is responsible for such forceful winds and related disasters. It's retrogression has driven wind's force crazy and in no time it blew southern part of Bangladesh. 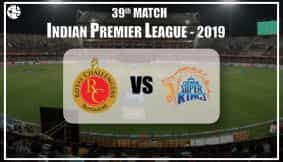 Mars' retrogression in Gemini at 18 degree was not forming any tight aspect with any house or planet in the country's Natal horoscope, so to find more relevance, Ganesha takes help of Tertiary Progressions. Tertiary Progressed chart for 15th November 2007 has Gemini Ascendant at 18 degree with a strong malefic planet Ketu (South Node) dot on the Ascendant, as we observe in the Tertiary Progression chart for the date 9th April 1973, 11 am Dacca, given below. This chart's ruling period is from 11November 2007 to 8th December 2007. As Tertiary Moon is at 12 degree 58 min. so in round figure at 13 degree (approximation taken for ease in calculation) in Gemini, moving it at it's standard speed for Tertiary progressed chart, half degree per day's rate, starting from date 11th November 2007, it reaches around 15 degree of Gemini on 15th November 2007 so was in 3 degree orb with Tertiary progressed Ascendant. As Moon was in North Declination and Declination was decreasing, as per the rule, the event may happen before this applying aspect is exact. 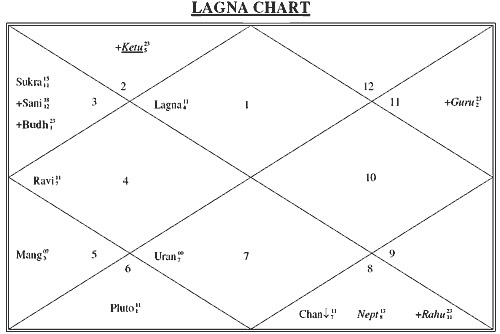 The applying aspect of Moon to the Ascendant becomes exact on 23rd November 2007 if Moon is moved at the same rate half per day in the Tertiary Chart. In other words, this was destined to happen between 11th November 2007 and 23rd November 2007. These planetary patterns indicate that on 11th November 2007, some change in the climate started taking the form which in turn with Tertiary Progressed Moon approaching Tertiary Progressed Ascendant which also has Ketu (north node) at 18 degree of Gemini (air sign) dot on the Ascending point, brought the `wind of change' in power. More interesting part comes now. Tertiary Progressed Mercury being the Ascendant Lord of Tertiary Progressed chart is in Aquarius (an Air Sign) at 28 degree. Bangladesh's Country Chart has Mars at 29 degree of Aquarius Ascendant so Mercury was forming 1 degree tight orb conjunction with Mars in Aquarius! Here also, we can see the Air Element in power wafting the country with Cyclone. Ganesha would now like to throw light on Minor Progressions. 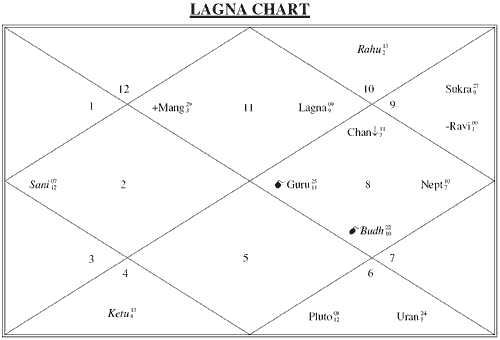 The date taken as reference is 15th November 2007 to calculate minor progressions and time and place are same as in the Natal Chart. This minor progression chart is for 2006-2007 for Bangladesh. As per Minor Progressions method, Saturn was 18 degree of Gemini, Mercury 22 degree of Gemini and Venus at 14 degree of Gemini. Jupiter was retrograde 23 degree of Aquarius and Uranus at 0 degree of Libra. Minor progressions 10th house Cusp is at 25 degree of Gemini. In National horoscopes, 10th house indicates power, government, authority or rulers of the country. So, with Saturn a natural malefic planet clear to the 10th house of Nation's rulers and Venus the seventh house of public or people living in Nation's Lord's placement closer to the 10th house of minor progressions, direct connection between people living in the country and authorities is foreseen in the minor progressions chart. Obviously when such events happen, authorities will be concerned about people living in the country. In short, there was lot of force in the Air Sign and retrogression of Mars that happened exactly on the degree of Tertiary progression's Ascendant (Gemini 18 degree) on 15th November 2007, in Air Sign Gemini, Mars being planet of force, brought in the heavy hard hitting wind named Cyclone and blew southern part of Bangladesh off. Ganesha wishes that people living in Bangladesh may find necessary aid and assistance as soon as possible and may such event not happen again, harming the well being of entire country.